I am an expert in tutoring for 4 years. 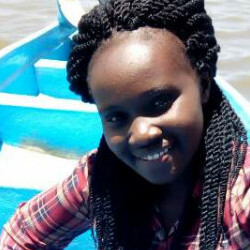 I have thought High school for three years and I am a degree holder in accounting Having done all the business courses for four years in University of Nairobi. Some of the course that I studied in pursuing my B.com course are managment, accounting, Microecomonics, insurance, human resource, finance, communication skills, corporate governance, marketing and many other ralated course. I do deliver the best work for all my students. The best way that I can work is through giving students answers through the email for many subjects expecially essays and payment will be done through this system. If this will work then it will be efficient way of working. I have been providing the work which is free from plagiarism for thousands of students and they have been rating me five stars. I assure all those who are going to assign me their work that they are gping to receive the answers that are the best and they are assured that they will score higher marks. It is very important for the students to know that i am very flexible and they should also be ready to make reasonable pay for quality work. I am available for all students for the questiions that i know for i am very happy when I assist a person and he or she also pay me.